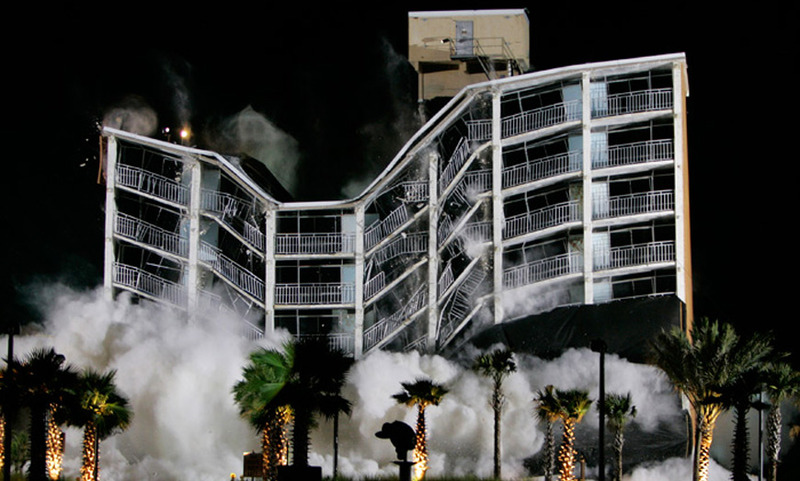 A high profile implosion/demolition and asbestos project in 2008 in conjunction with the Owner and A&E Network highlighting Criss Angell “Mindfreak”® Master Illusionist on live TV escaping from the building during implosion. CCS had 6 weeks to remove all asbestos and prepare the nine story hotel for implosion. After implosion CCS cleared 3,500 tons of debris/concrete in nine days.